Wowzah! So into what collective family will that pez be adopted! I was wondering the same thing. 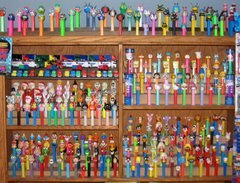 We will have to ask Robb - the head honcho of the PEZ museum.